Limited availablility - while supplies last! 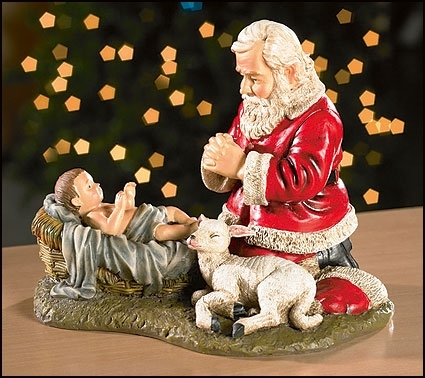 Kneeling Santa is a wonderful way to teach anyone the true meaning of Christmas. With Santa humbly knelt in adoration and prayer in front of the Christ Child, it helps us refocus our celebrations on God's greatest gift to us - His Son, Jesus. Makes a great gift. This statue is made of resin with fine attention to detail. Size: 6" H.